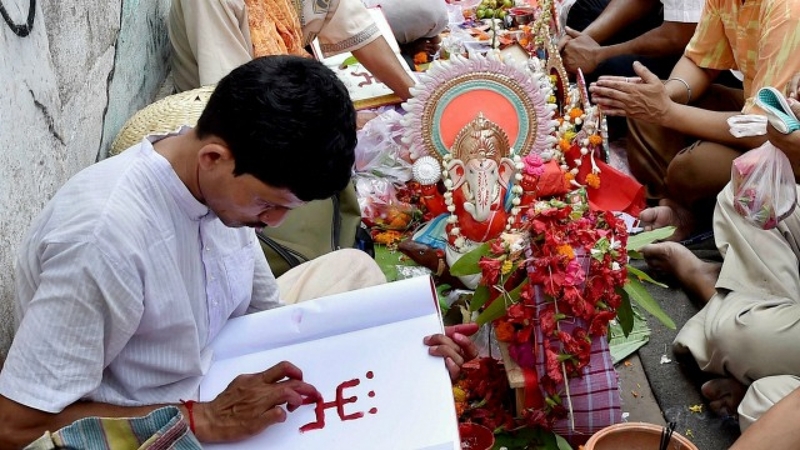 India is a culturally diverse nation and has different traditional celebrations to mark the harvesting season which mostly coincides with the regional New Year celebrations based on the Hindu solar calendar. While the world observes New Year on January 1, according to the Gregorian calendar, many states in India celebrate New Year at various times of the year, in accordance to the lunar or solar calendar. It is also the celebration of the spring harvest season. Being a diverse country, every region has its own unique traditions and celebrates the day on April 13 or 14 or 15 of the Gregorian calendar. It marks the beginning of the New Year with the month of Baisakh (corresponding to April-May) in the solar calendar. A few states follow the lunar calendar and consider the month of Chaitra (March-April) as their first month. The celebration is filled with festivities, cultural events, food, processions and family gatherings. In the state of Punjab, Baisakhi (April 13 or 14) marks the Punjabi or Sikh New Year. It also celebrates the formation of the Khalsa in 1699. They bring out processions called nagar kirtans (town hymn singing) where people march and sing hymns from Sikh texts. 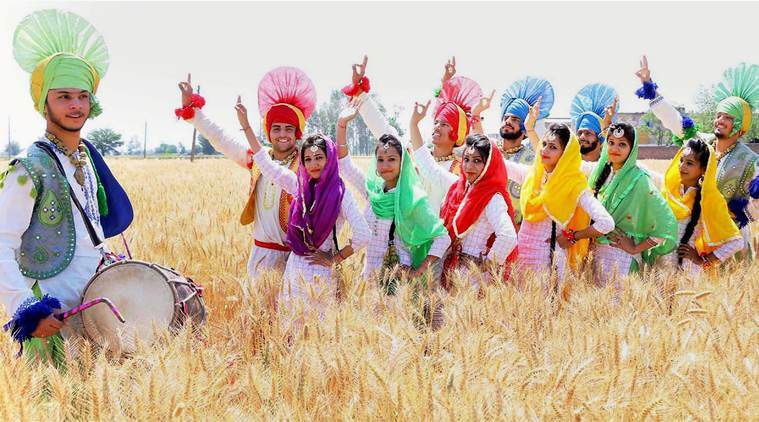 Baisakhi also marks the harvesting of the rabi crops in Punjab and farmers pay tribute to the Gods for the bountiful harvests through music and Bhangra (traditional dance in Punjab). The states of Orissa and West Bengal celebrate the New Year as Pana Sankranti (April 14) and Poila Baisakh (April 14 or 15) respectively. According to the Odia tradition, the day marks the birthday of Hindu deity Hanuman. It is marked by different events like Jhaama yatra(a fire-walking festival), Patua Yatra festival, Chadak Padva in northern Orissa and Meru Yatra festival in southern Orissa. A month-long dance festival called Danda nata is organised where Ghantapatuas (traditional male folk artists), perform Jhama Nata art form. In West Bengal, the day is celebrated as Nabo Borsho (New Year), the start of a new calendar. The people in Bengal start the day with prabhat pheri (morning procession) where they perform on songs of Rabindranath Tagore. They worship Lord Ganesha and Goddess Lakshmi on this day. The day is very auspicious for traders as they begin their new accounting year with Hal Khata (accounting books). The day is also observed by the Bengali people in north-eastern states of Tripura, Assam and the neighbouring country Bangladesh. The north-eastern state of Assam observes Rongali or Bohag Bihu (April 14 or 15), a harvesting festival, and celebrates it for seven days. The farmers prepare for cultivating their crops during this festival. It is celebrated with traditional foods and drinks. 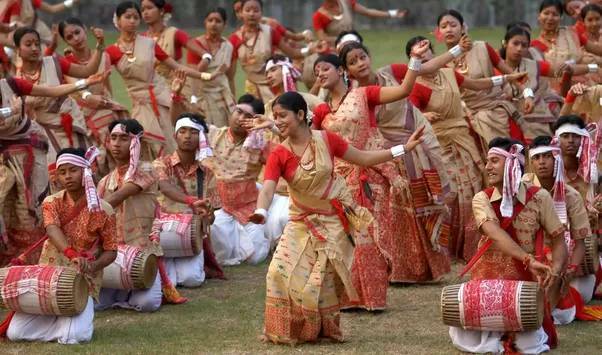 They also perform on bihu songs and dances. 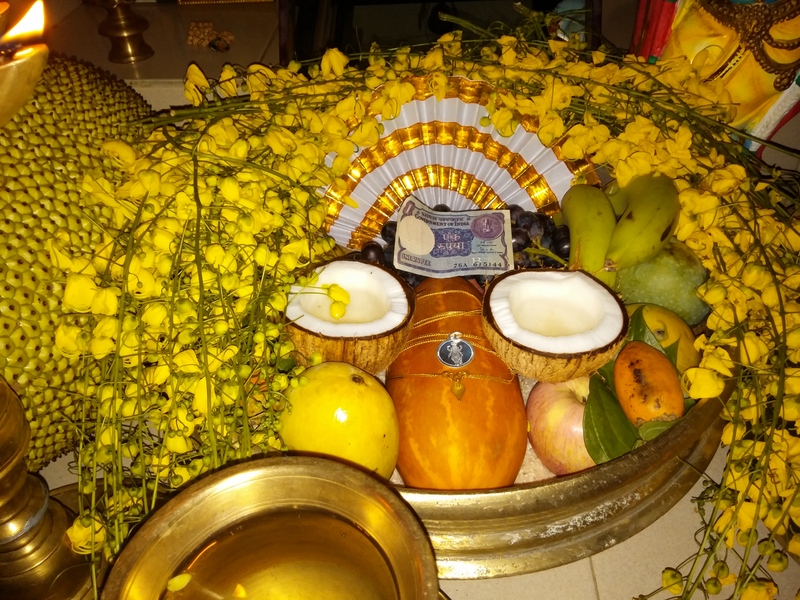 Kerala and Tamil Nadu celebrate their New Year as Vishu and Puthandu respectively on April 14. Vishu literally means equal and marks the end of spring equinox. The main attraction of this occasion is Vishukkani which means “that what is seen first on Vishu”. It is a tradition where an auspicious tray is prepared which they see first on the Vishu day. Food is a major part of the celebration and many traditional delicacies are prepared. Tamil Nadu observes the day in a similar way with the auspicious plates like Vishu and houses are decorated with designs called kolams. A special food of various flavours, Mangai Pachadi is prepared. There is also a grand celebration at Meenakshi Temple in Madurai, the temple city.